Women, coming to him in search of new thrills… women, desperately in need of his special service… women, willing to pay for private lessons in pleasure. Dance Man: earning a living by teaching female pupils the simple steps of sensual fulfillment!!! Annette… the young housewife, who learned too fast and too well once she ignited the dormant passions her husband never knew she possessed. Louise… the young innocent, who was too naive and too trusting to realize until too late that each dance step was bringing her nearer a bed. 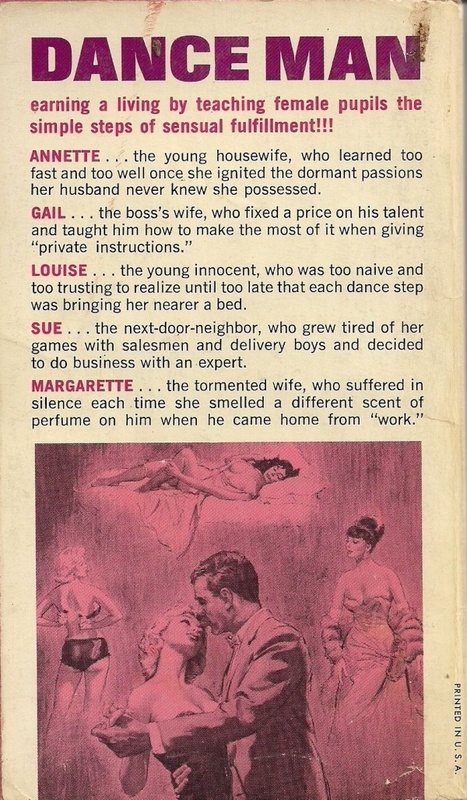 Sue… the next-door-neighbor, who grew tired of her games with salesmen and delivery boys and decided to do business with an expert.